All employer's MUST file even if no SC state income tax has been withheld during the quarter. 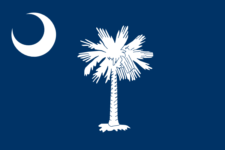 Tax Reminder works year round to keep official tax form info up-to-date for South Carolina and the rest of the USA. The IRS and states change their forms often, so we do the hard work for you of figuring out where the official form info is located. Never forget to file SC WH-1605 again.